Launch Day! There It Was…Gone! It’s launch day! At least, it was when I first put this post up! Now it’s been and gone and we had a great time, there was a cake with the book cover (marvellous) and everyone seemed to enjoy themselves. Many, many thanks to everyone who performed and to all my guests—it really was a special night. 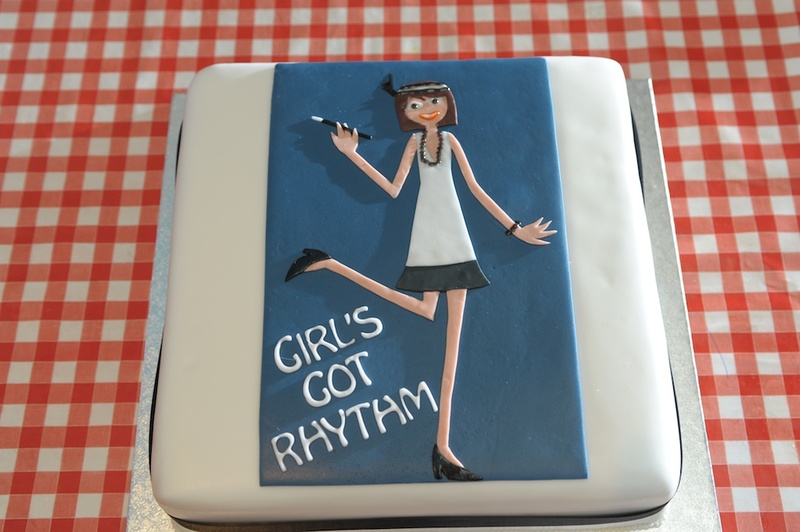 Categories: Writings & Witterings | Tags: art, book launch, debut collection, girl's got rhythm, Literature, Paperback, poetry, Polly Stretton | Permalink. Just been in and purchased for Kindle. Hope your launch goes well. Hopefully I will get around to ordering it from Lulu before Friday. Looks good though. Ordered and on it’s way. Perhaps I will be able to get you to sign it one of these days? FYI Lulu just sent me a thank you from you for buying your new marketing book! Maybe you should change that. It made me go and check my order to make sure I bought the right one! So you know. It was an amazing night and a true privilege to have my own little spot on such a bill of amazing poets!